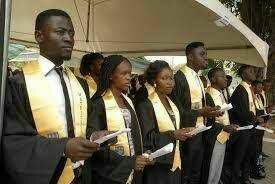 According to the Rector, Mr Obafemi Omokungbe, the figure equally comnprised full-time and part-time students. He said 23.704 candidates applied for admission into the college’s ND (Full Time) but only 3,666 were offered admission. The rector also said 3,871 candidates were given admission into thecollege’s HND (Full-Time) programme, adding that Yabatech offerred admission to a total of 7,375 candidates for both ND/HND(Part-Time) programmes. He advised the students to shun all forms of anti social behaviour and activities such as cultism, drug abuse, examination malpractice, sexual misbehaviour and other unruly behaviour. He said that students who would violate the rules of the college would be penalised as stipulated by the law.He also reminded them that the institution has zero tolerance for examination malpractice and indecent dressing.